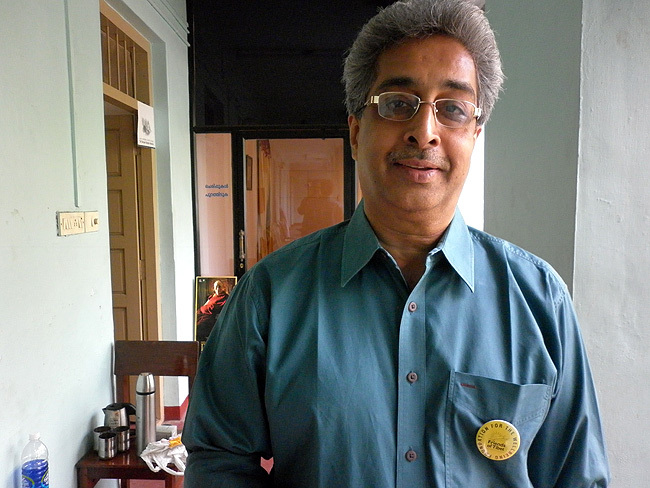 Kodiery Rajan Menon is a distinguished scientist in Microbiology and had worked with Bhabha Atomic Research Centre (BARC) and several leading companies. He later spent about 20 years in the field of Food Safety. I was introduced to the Tibetan Medical System by a relative of mine. A couple of years ago, he came visiting to my house and my mother was talking to him about my health condition. He advised that I visit the Tibetan Wellbeing Camp at Kochi. I thought of giving it a try. On reaching the camp I was moved by the selfless service rendered by Wellbeing Volunteers, and this encouraged me to spend more time at the camp. I wanted to know more about the group of Volunteers. Pulse diagnosis was an experience in itself. The scientist mind in me triggered to know more about how the doctor is able to correctly diagnose just by the feel of pulse. I was encouraged to spend more time with him so that I can talk to him and understand more about the Tibetan Medical System. The following months, my visit to the camp and interaction with the participants made me think - I should contribute in some way to the Wellbeing Camp. That was when one of the organizers asked me if I would like to spend more time volunteering and perhaps assist in translating. I readily said yes and I thank the decision taken. Seriousness and optics of the situation at the camps together with the selflessness of its initiators was key to my participation. With my small contribution, I feel satisfied that I could in a trivial manner assist somebody. 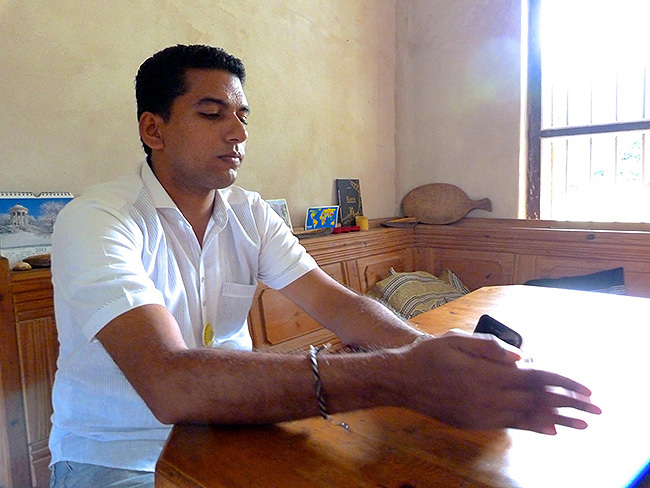 Acting as a bridge between the participant and the doctor, Kodiery Rajan Menon plays an important role in the Wellbeing Camps. A couple of years back I happened to meet a Friends of Tibet Campaigner associated with a social forum. We met again after many months. Call it fate, since then our friendship grew stronger. I was not able to participate in the early days of Wellbeing Camps. I started volunteering regularly from the days when the camp venue was shifted to Ashirbhavan Campus, Kochi. Being a Volunteer, for more than eight years, at Pain & Palliative Care Society, Thrissur, I have seen many patients suffering from chronic diseases, mostly Cancer and Chronic Kidney ailments. It's a sad truth that we encounter 60 patients in our OP. As part of the Homecare team, I was able to see more of their touching conditions. May be this experience gave me the courage to volunteer in the Wellbeing camps. This is the reason I full heartedly accepted Friends of Tibet's request asking me to be a volunteer in the camps. To be a volunteer in these camps, I feel that the volunteers should have at least 100% (or more than that) dedication to their work. They should be fully aware of the work they have to undergo. You can't imagine how much relief some patients get with a small chat with them, or a small pat on their shoulder. You have to experience it. To be frank you shouldn't treat them as a patient, but just consider them as your fellow being. Tharanath Menon's regular presence and interactions with participants is a sight to watch and experience. A person who does not waste even a single moment of his time, he is a constant learner who turns the learning to a passion - be it cooking, gardening, soap making, stitching or caring ailing people. Since my younger days, I was moved by the plight of the oppressed sections of the society. My early days working at the Railway platforms brought me face to face with the helplessness of the mentally and physically challenged, women and children left to suffer for no fault of theirs. This made me start Daya Charitable Society with a mission to provide humane living environment for the Socially, Physically, and mentally neglected and challenged sections of the society. I came to know about the Tibetan Wellbeing Camp from my friends and people from my native place. My interactions with people who attended the camp and volunteers increased my interest to spend more time and I decided to volunteer. What started as a chance meeting became a journey, and the journey continues. Enjoy what you do! This is more apt to describe the enthusiasm shown by Sanjumon P. His smiling face and the empathy towards participants, talking to them and addressing their needs is noteworthy. I had taken Buddhist philosophy courses during my undergraduate degree. I had read about Tibetan healing, but did not know how it was practiced in modern context. While I was attending Malayalam classes, I heard about Tibetan Medical camp and contacted the organising team, and total perfect timing there was a camp in a few days! It was good to see that at the camps, traditional Tibetan practices become connected to the very important task of managing the global health crisis. What I saw when I first attended a camp was the strength and dedication of Wellbeing Volunteers. Their hard work helps to empower both health seekers and those involved in the struggle for Tibet's freedom. I was happy to see that at the camp, the doctor-patient relationship is one of trust, care, and mindful listening. In fact, it would be more apt to say doctor-participant relationship, because Dr Dorjee and the team use Tibetan knowledge and practices to bring balance to and reveal the inner healing power already present within each person. My message is a request: 1) Spread awareness about the timeless value of Tibetan medical knowledge in giving health, and; 2) Actively support the freedom of Tibet. The smiling face is a popular face amongst participants. 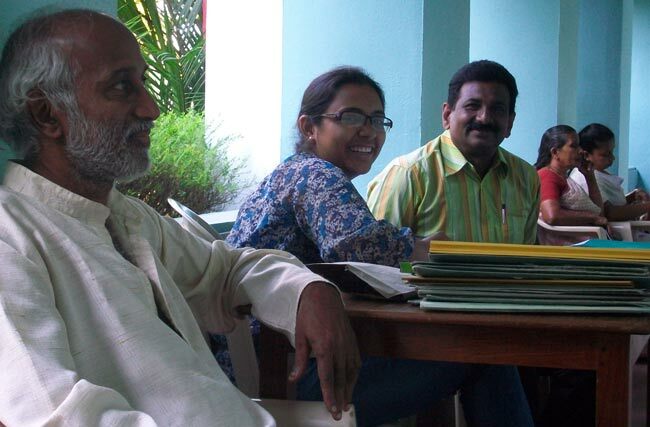 Participants love to talk and listen to her in Malayalam. Victoria has learnt and practices Kalaripayattu, the traditional martial art of Kerala and is also a Yoga exponent. This report is compiled by Eswar Anandan, poet and 'Friends of Tibet' Campaigner based in Kochi. He can be reached at eswar.anandan@friendsoftibet.org. Photographs: Sylvie Bantle and Prayag Mukundan.